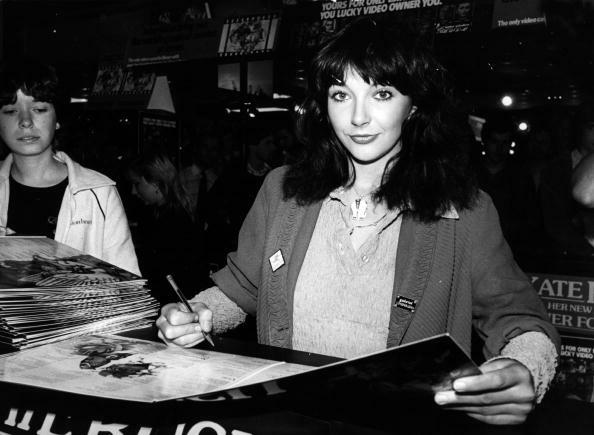 Singer Kate Bush has quashed rumours she is a Conservative Party supporter after an article resurfaced in which she was quoted saying she "really liked" Theresa May. In a statement on her website, the Wuthering Heights singer said she wanted to "make clear" she was not a Conservative voter, claiming the quotes published in a Canadian magazine in 2016 were taken "out of context". Bush, now 60, is quoted in the article saying: "We have a female Prime Minister here in the UK. I actually really like her and think she's wonderful. "I think it's the best thing that's happened to us in a long time. She's a very intelligent woman but I don't see much to fear." However, in her statement, the musician said her comments were "not meant to be political" and were simply a "defence of women in power". "It could make it seem like I am a tory supporter which I want to make clear I am not," she wrote. "I should have been clearer when I then said it was the best thing that had happened to us for a long time - because I greatly disliked the behaviour of the previous PM, who at that point I felt had abandoned us and everybody felt angry and let down." She added: "It's become so pervasive that I felt I needed to clarify this matter once and for all. Bush remains an elusive presence and performed her first live show in 35 years in 2014, having not toured since 1979.